Sometimes, the lesser known racing rules are some of the best. Everyone knows drivers can’t pass for position below the yellow line at Daytona and Talladega in a NASCAR race, but you can bet most people don’t know it’s a $25,000 fine if a “simulated weight” to replace an in-car television camera isn’t heavy enough. NASCAR didn’t specify what about Bowyer’s weight didn’t meet its standards, but it was almost surely too light in comparison to the TV cameras. 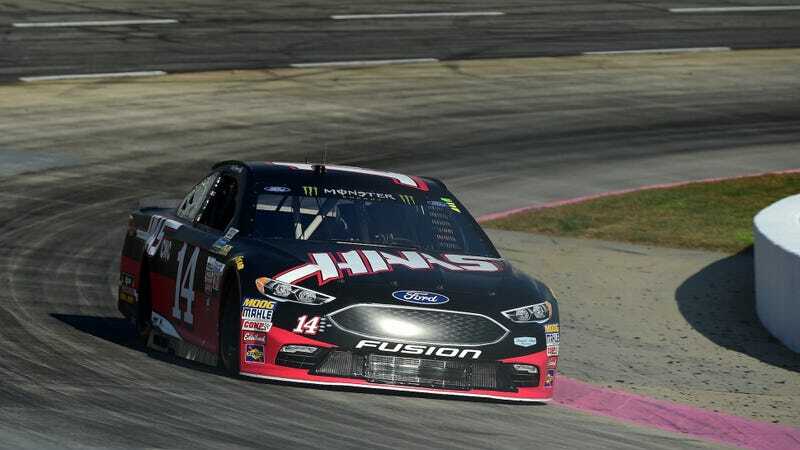 A NASCAR spokesperson told Jalopnik that they weren’t able to give exact numbers on Bowyer’s infraction, but that the simulation weight needs to be 13.2 pounds to match the TV camera and that there’s a .22-pound tolerance going either way. That’s a lot heavier than the GoPro-style camera that comes to mind. Teams manufacturer the simulation weights themselves, and TV crews give them the cameras when it’s their week to have an in-car feed. The weights of the cameras don’t change when NASCAR’s top two national series switch from FOX to NBC in the middle of the season. But no matter how big or small the discrepancy was, the penalty came with a real hurting: Bowyer’s crew chief, Mike Bugarewicz, will have to pay a $25,000 fine and serve a suspension for the upcoming Texas Motor Speedway race, the team lost 10 points in the owner and driver standings, and Bowyer’s third-place finish from Martinsville is encumbered. In NASCAR speak, that means he’ll keep it but won’t get any points benefits, but he’s not in the title running anyway. Those consequences are all if the Bowyer’s race team doesn’t try to appeal the penalty, which they can always do. But if anything, their penalty woes taught us all a new and weird rule—and that NASCAR uses some heavy in-car cameras.